Sony mobiles added a new dust and water-resistant Android phone to its Xperia line up. It is dubbed as Xperia ZR and is now available in the Indian market. The device has been announced last month and those who are looking for this smartphone can own it from online retailers. One of the online retailer has mentioned still for pre-orders but they are likely start shipping in the next couple of days. Well, it is an impressive smartphone from Sony which claims to offer a highest level of water-resistance. This phone can be placed in 1.5 meters of fresh water for up to 30 minutes. Apart from this, it has dust-proof and IP55 and IP58 certified water-resistant and shatter proof sheet on scratch-resistant glass. 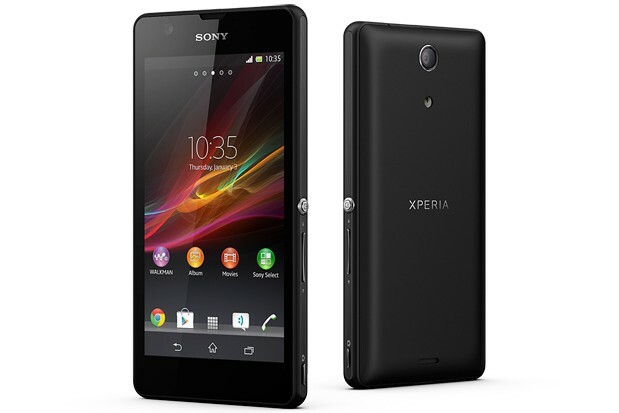 Sony claims that it runs on Google Android 4.1 (Jelly Bean) OS and supported with 1.5 GHz Qualcomm quad-core processor. Sony Xperia ZR comes with a 13 megapixel fast-capture camera with Exmor RS sensor to capture stunning photos in any light conditions. The camera supports a video recording ability with full HD resolution of 1080 x 1920 pixels. The other advanced camera features includes Exmor RS for Mobile Sensor, Burst Mode, Fast Capture, Picture Effect, Quick Launch, Red-eye Reduction, Auto Focus, Face Detection, Face Recognition, Geo-tagging, Image Stabiliser, Object Tracking, Scene Recognition, Smile Shutter, Send to Web and Image Sensor. On front, this handset has 0.3 megapixels secondary camera to make video calling and chatting. As it comes with body dimensions 67.3x131.3x10.5 mm and weighs 138 grams, it is comfortable to hold in hands. Sony Xperia ZR features are superb. The handset is fueled with a 2300 mAh battery to deliver a talking time up to 11 hours on 2G and 13 hours on 3G. The battery is also capable of providing a 470 hours of standby time on 2G and 520 hours on 3G. It is inbuilt with user memory of 8GB which is expandable to 32 GB using a microSD card slot to provide efficient storage space for all user stuff. The phone comes with a 2 GB RAM. To enhance your experience, the device has Proximity Sensor, eCompass, Accelerometer, Gyroscope, Magnetometer and Ambient Light Sensor. The Sony Xperia ZR pictures reveal that the mobile consists of a 4.55 inches HD display supporting a resolution of 1280 × 720 pixels. It has a full touchscreen and has a Reality display with mobile Bravia Engine 2. It supports value added services like Sony Music App ( Can Download 1.5Mil Songs for Free), Sony Liv App, Google Play, Google Voice Search, Facebook, Google Wallet, Google Talk, Twitter, Gmail, Instant Messaging, YouTube. The mobile phone comes with 3G HSPA+, Wi-Fi, Bluetooth 4.0, DLNA, GPS, and NFC connectivity, as well as with a 3.5mm audio jack and FM Radio. The Sony Xperia ZR price has been officially revealed and it is placed at INR 29,990, according to online retailer. Recently Sony mobiles updated Android jellly bean in Sony Xperia Go.